Long time no post! I have a few new things. One is that the Breathe fabric I linked below is actually on sale! It's gold, not silver, but it's the right pattern! 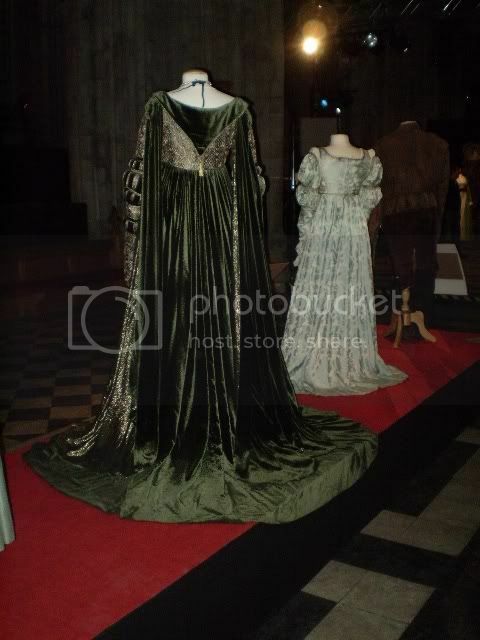 Also, there were two Ever After costumes on display with the Starstruck in the Cathedral exhibit, which is sadly over. One of them was one of Rodmilla's and the other was Danielle's blue library gown, which I've never seen on display before! Here are Kerri and Rachael's exhibit pics! Lordofhaladin found what looks like an exact match for the pearl embroidered fabric from the skirt of the "Breathe" gown from Ever After. It's pricy though. Check it out here. 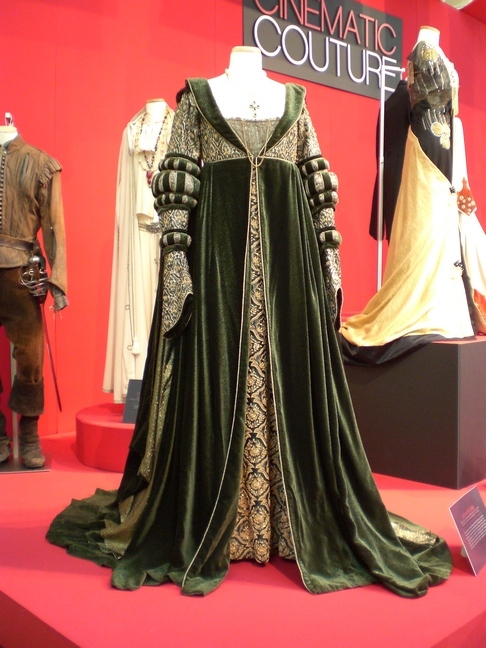 One of Angelica Huston's gowns was on display in the Cinematic Couture exhibit in Florida! Thanks to Lindsay for this image of it! -H of Candid Cool (http://candidcool.blogspot.com) also got a photo, and a description. This court gown is of figured velvet with Indian Embroidery on Brocade. The front panel is also Indian embroidery but a different pattern. 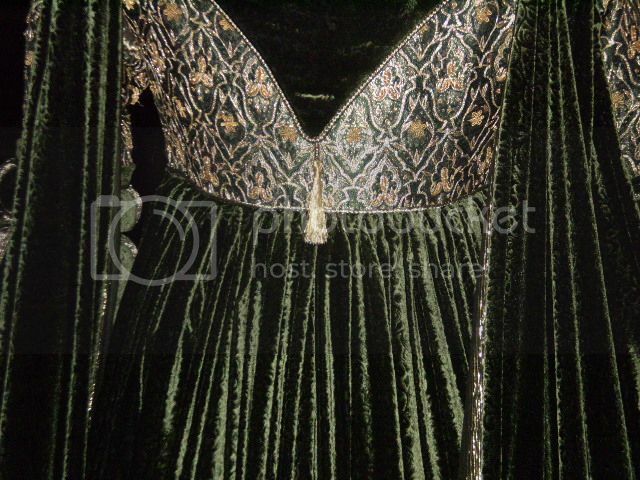 The embroidery on the slashed sleeves include cornely work (a chain stitch) and gold wire which is twisted in to tiny springs (sometimes called "worms"). The hanging over sleeve is lined with gold lame. The pleating to the neckline is antique pleating, typically illustrated by the irregularity of the pleats. The same fabric is used in the slashes on the sleeves. The Breathe gown with the torn wing was on display in the Cinematic Couture exhibit. We have a few pics of it here. 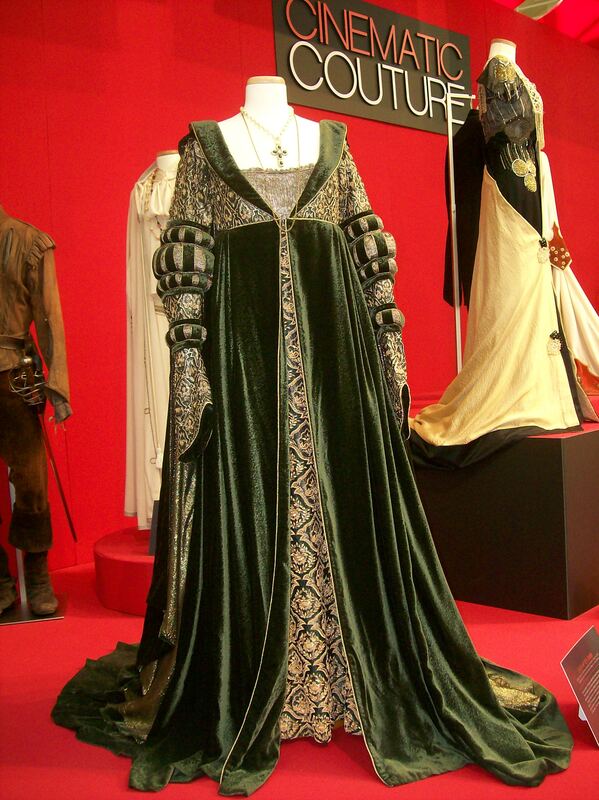 Lecourtisane posted a bunch of art work that inspired the costumes from Ever After. You can view it here. Here is a shoe suggestion for the Breathe gown - Beachcomber's Indian Khussa sari shoes. The Beachcomber's folks emailed me to tell me about their new design that has beading on the heel and a design closer to the original shoes. They are white, since they are part of their wedding shoe line, but they may be able to be tinted darker, perhaps with tea? Here's a link to a pair of them - they come in more sizes than just this one, of course. 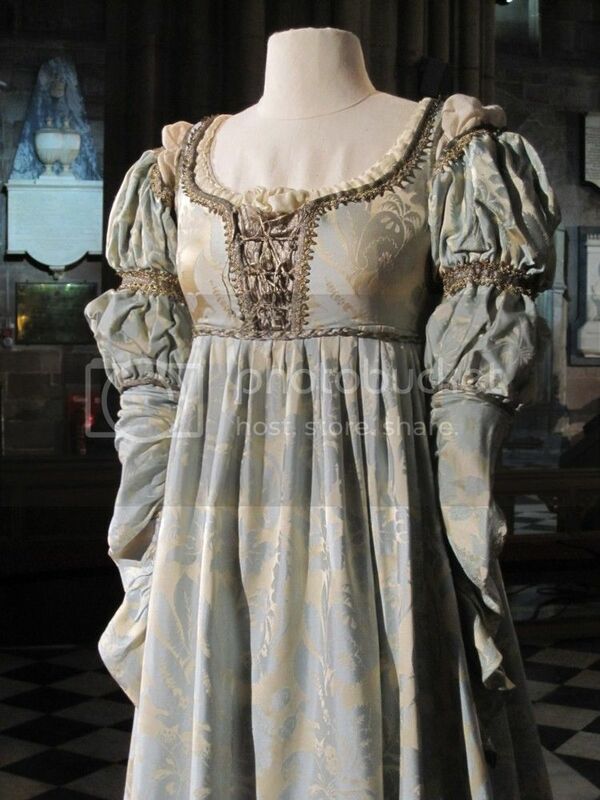 I just searched on ever after and all the sizes came up. ETA: Beachcomber's was nice enough to give me a promo code for anyone interested in the shoes! Just use the code "everaftercostumes" and you will get 15% off the Ever After shoes, all sizes, while supplies last. I was told, " All our shoes are hand-made to our specs so, unfortunately, if I run out of a size, I cannot get it back in." Right now, they are stocked in all sizes! Enjoy! Please note that Starfilly now has a page up on the hairstyles from Ever After and how to do them! You can find the relevant section here, and the main site here. I just noticed that one more date has been added to the Fashion in Film tour! The Durham Western Heritage Museum in Omaha, Nebraska, January 25 - March 25, 2007! 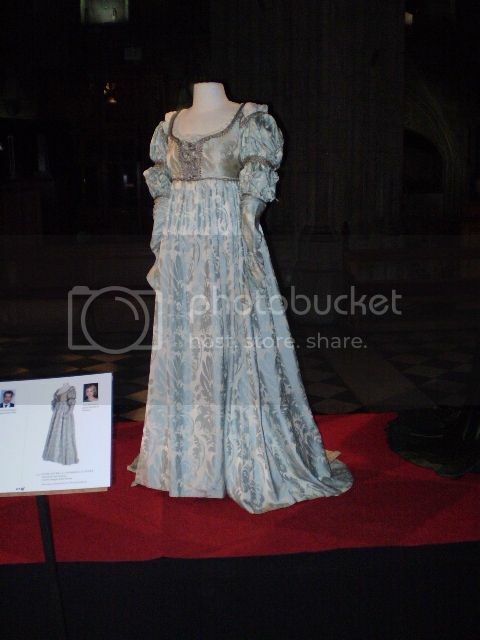 10/02/06 - I've added Freya's lovely hi-res pics of the Breathe costume from the Fashion in Film exhibit! You can find them all here. I also updated the Breathe costume page with my updated costume analysis - which you can also find here! 9/30/06 - This site has had the same look for 5 or 6 years and it was time for a facelift! I hope you enjoy the new look! 9/27/06 - The "Just Breathe" costume is on tour with the Fashion in Film Exhibit til 2007. The last stop on this tour is upon us. Starting September 30, 2006, and running through January 7th, 2007, the exhibit is at the Winterthur Museum in Delaware. Here is their website! I don't know if they are allowing photos or not. If anyone finds out, please let me know! I'm hoping to see the exhibit again, at this museum. 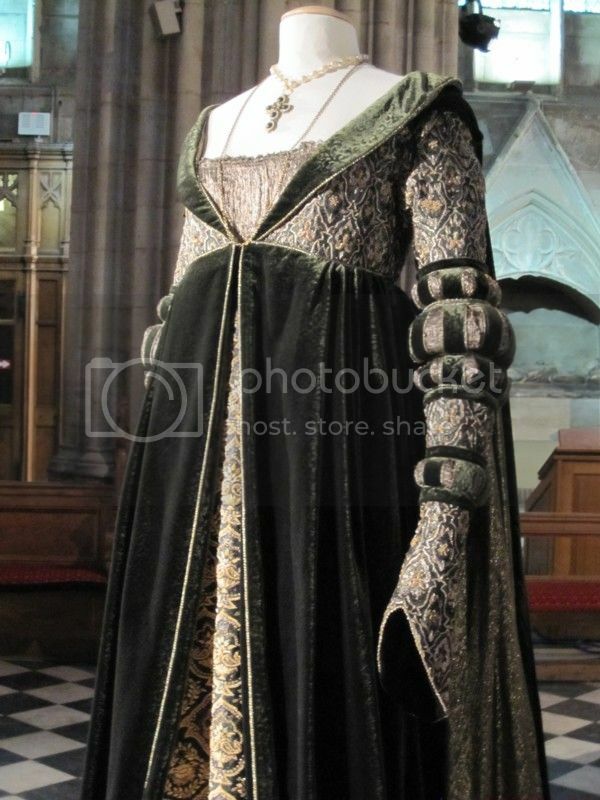 The museum website has a very nice listing and descripion of all the costumes here. If you took any photos of this costume, or any of the others, at any of these exhibits, please send them to me to post! 9/22/06 - Here are Lecourtisane's Exhibit Photos of the Breathe dress! She has actually confirmed that the bodice beading is pearls and seed beads, not pearls and rhinestones. She says they have a metallic luster/sheen so that they sparkle like rhinestones, but they are definitely not rhinestones. All pictures and themes are copyright Fox or their creators. All original work is protected by intellectual property laws. No copyright infringement is intended. Site design and all graphics and content created by me is copyright Maggie. I reserve the right to add or subtract content to this site soley at my own discretion. Contact me. Please note I DO NOT sell costumes or wedding dresses. Please don't ask me to sew you one.